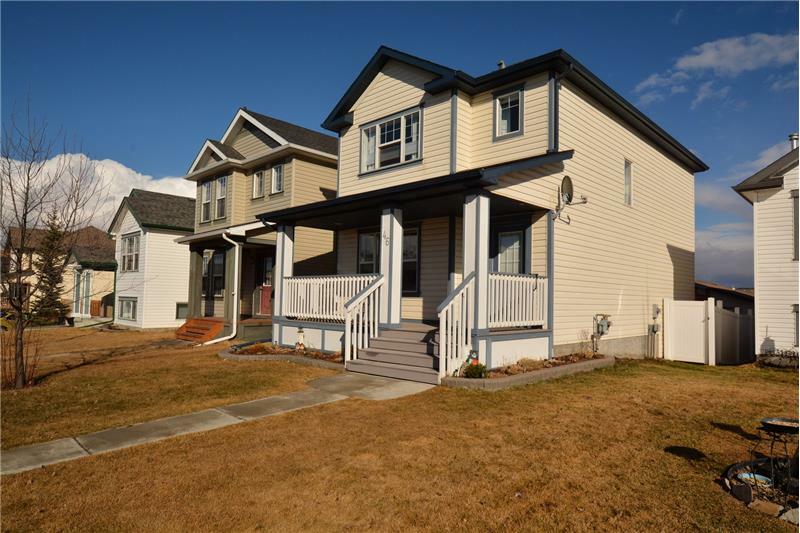 This property at 46 Copperfield Heath SE , Calgary, ABT2Z 4V2 has listed by Sheri-Lee Presenger but has not been updated for quite some time. Please contact the listing agent and broker for up to date information. Fantastic home located within a quiet cul-de-sac, next to a park. Enjoy watching your kids play street hockey while sitting on your composite decking veranda. The vinyl fencing is great for maintenance-free living, always retaining its beauty. Fantastic home located within a quiet cul-de-sac, next to a park. Enjoy watching your kids play street hockey while sitting on your composite decking veranda. The vinyl fencing is great for maintenance-free living, always retaining its beauty. The main floor has beautiful laminate flooring throughout. The kitchen has a large island with breakfast bar, kitchen nook and a desk space to help keep you organized. Upstairs is perfect for your growing family, with 3 bedrooms and 2 full bathrooms. The basement has a large finished family room, office and laundry requiring only the completion of a bathroom (vanity incld). The home is equipped with high-end up/down blinds, central vacuum system & electric fireplace. The yard is landscaped and is ready for summer with a large deck. The lane-accessed garage is fully wired. Don’t drive - 2 block walk to the downtown express! Have kids? 5 minute walk to the new elementary school. Need groceries? Only 2 km to MacKenzie Towne Square. Call and book an appointment today!